Designs by Lisa Somerville: Time for a Chat? I thought the stacked tea cups would make a cute card to send to a friend. To create my card, I die cut the Espresso panel using the scallop album die from Top Dog Dies Pocket Albums Die. The three dies from this set make a wonderful album, but also work fabulous as layers for card making! 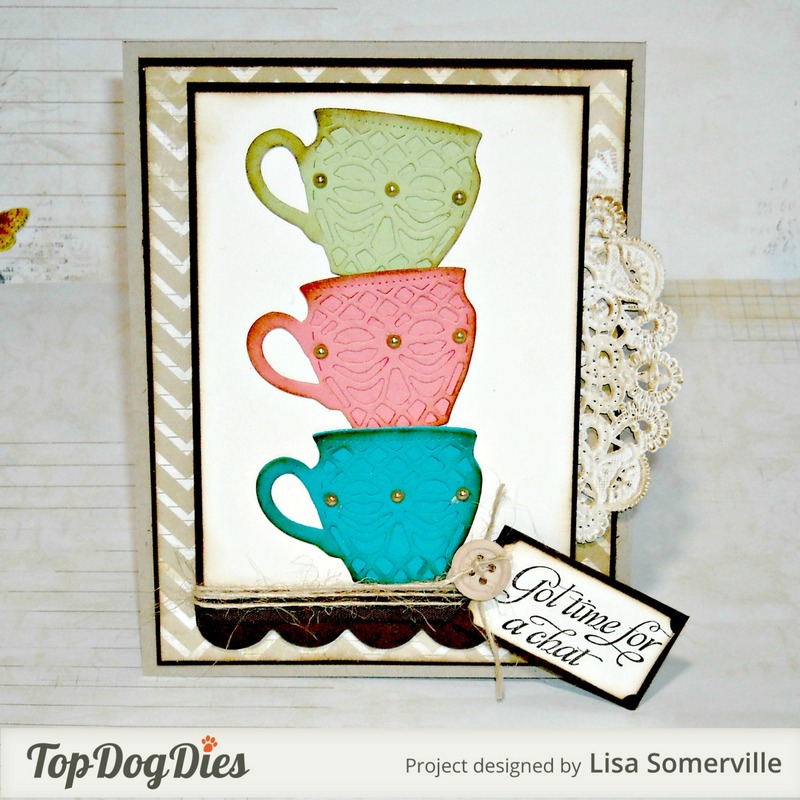 The tea cups are die cut from Rose, Celery and Turquoise card stock using the Tea Time Basic and Tea Time Decorative Die Set. I love the filigree pattern on the Tea Time Decorative Die set! 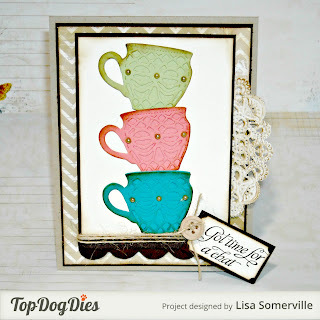 To embellish, I added a doily under the die cut layer, and created a tag, stamping the sentiment from Kitchen Sink Stamps Multi Step Cup of Warm Comfort in Chocolate, then tied on some Twine, added a button and a few Zva Creative Crystal Gems to the tea cups.